How to Determine if the Contact Lenses are Right for You? When it comes to picking up the right contact lenses for you, you can get overwhelmed by the wide array of choices in front of you. Thanks to the advanced technologies of today, there are contact lenses to match every prescription, need, preference, and lifestyle. Help you in having a clear vision. Come with "extra" benefits you require, like, colour contact lenses, convenience of daily contact lenses or monthly disposal contact lenses or be multifocal contact lenses. Remember, there can never be a ‘right’ lense; you have to just choose among the available options according to your needs and adjust them to your lifestyle. Contact lenses are available in thousands of combinations of size, shape and power. That’s why it is essential that they should be obtained with a prescription and fitted accordingly by an experienced professional for a comfortable fit and perfect vision. Any ignorance on your part may end up in you jeopardizing your eye health. You will be spoilt for choice if you look at all the different types of contact lenses available today. But at first, you should be aware of the different purposes that these different types of contact lenses serve. 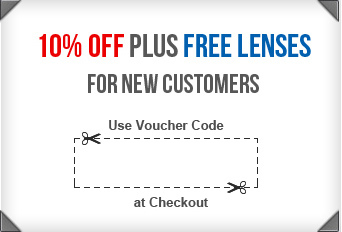 Disposable Contact Lenses that ensure a healthier lens-wearing experience and 100% hygiene. Extended Wear Contact Lenses so that it does not matter even if you sleep in them. Orthokeratology Lenses to enable you contact lens-free vision in daytime. Special-Effect Contact Lenses for bringing alive the Goth look or that of vampires or monsters! Custom Contact Lenses that can be custom-made for you if all other options fail. Daily-Wear: Daily-wear contact lenses need to be worn throughout the day and taken out, cleaned, disinfected and stored each night. Extended-Wear: Even during night, there is no need of taking these lenses out. You can sleep comfortably in them. Flexible-Wear: It is better that these lenses are taken out at night but it does not cause any problem if they are left in the eyes during a nap. You can consult your eye care practitioner and tell him/her about all your problems and special needs. Together, both of you should conclude which is the right lens for you that conforms to all the special needs (if any) like dry eyes, need for changing the color of the eyes or if you need them for overnight wear.